For the album by Darkside, see Psychic (album). A psychic is a person who claims to use extrasensory perception (ESP) to identify information hidden from the normal senses. The word "psychic" is also used as an adjective to describe such abilities. Psychics may be theatrical performers, such as stage magicians, who use techniques such as prestidigitation, cold reading, and hot reading to produce the appearance of such abilities. Psychics appear regularly in fantasy fiction, such as in the novel The Dead Zone by Stephen King. A large industry and network exists whereby psychics provide advice and counsel to clients. Some famous psychics include Edgar Cayce, Ingo Swann, Peter Hurkos, Jose Ortiz El Samaritano, Miss Cleo, John Edward, and Sylvia Browne. Psychic powers are asserted by psychic detectives and in practices such as psychic archaeology and even psychic surgery. Critics attribute psychic powers to intentional trickery or to self-delusion. In 1988 the U.S. National Academy of Sciences gave a report on the subject and concluded there is "no scientific justification from research conducted over a period of 130 years for the existence of parapsychological phenomena." A study attempted to repeat recently reported parapsychological experiments that appeared to support the existence of precognition. Attempts to repeat the results, which involved performance on a memory test to ascertain if post-test information would effect it, "failed to produce significant effects", and thus "do not support the existence of psychic ability." The word psychic is derived from the Greek word psychikos'("of the mind" or "mental") and refers in part to the human mind or psyche (ex. "psychic turmoil"). The Greek word also means "soul". In Greek mythology, the maiden Psyche was the deification of the human soul. The word derivation of the Latin psȳchē is from the Greek psȳchḗ, literally, breath, derivative of psȳ́chein, to breathe, blow, hence, live. French astronomer and spiritualist Camille Flammarion is credited as having first used the word psychic, while it was later introduced to the English language by Edward William Cox in the 1870s. Elaborate systems of divination and fortune-telling date back to ancient times. Perhaps the most widely known system of early civilization fortune-telling was astrology, where practitioners believed the relative positions of celestial bodies could lend insight into people's lives and even predict their future circumstances. Some fortune-tellers were said to be able to make predictions without the use of these elaborate systems (or in conjunction with them), through some sort of direct apprehension or vision of the future. These people were known as seers or prophets, and in later times as clairvoyants (French word meaning "clear sight" or "clear seeing") and psychics. Seers formed a functionary role in early civilization, often serving as advisors, priests, and judges. A number of examples are included in biblical accounts. The book of 1 Samuel (Chapter 9) illustrates one such functionary task when Samuel is asked to find the donkeys of the future king Saul. The role of prophet appeared perennially in ancient cultures. In Egypt, the priests of Ra at Memphis acted as seers. In ancient Assyria seers were referred to as nabu, meaning "to call" or "announce". The Delphic Oracle is one of the earliest stories in classical antiquity of prophetic abilities. The Pythia, the priestess presiding over the Oracle of Apollo at Delphi, was believed to be able to deliver prophecies inspired by Apollo during rituals beginning in the 8th century BC. It is often said that the Pythia delivered oracles in a frenzied state induced by vapors rising from the ground, and that she spoke gibberish, believed to be the voice of Apollo, which priests reshaped into the enigmatic prophecies preserved in Greek literature. Other scholars believe records from the time indicate that the Pythia spoke intelligibly, and gave prophecies in her own voice. The Pythia was a position served by a succession of women probably selected from amongst a guild of priestesses of the temple. The last recorded response was given in 393 AD, when the emperor Theodosius I ordered pagan temples to cease operation. Recent geological investigations raise the possibility that ethylene gas caused the Pythia's state of inspiration. One of the most enduring historical references to what some consider to be psychic ability is the prophecies of Michel de Nostredame (1503 – 1566), often Latinized to Nostradamus, published during the French Renaissance period. Nostradamus was a French apothecary and seer who wrote collections of prophecies that have since become famous worldwide and have rarely been out of print since his death. He is best known for his book Les Propheties, the first edition of which appeared in 1555. Taken together, his written works are known to have contained at least 6,338 quatrains or prophecies, as well as at least eleven annual calendars. Most of the quatrains deal with disasters, such as plagues, earthquakes, wars, floods, invasions, murders, droughts, and battles – all undated. Nostradamus is a controversial figure. His many enthusiasts, as well as the popular press, credit him with predicting many major world events. Interest in his work is still considerable, especially in the media and in popular culture. By contrast, most academic scholars maintain that the associations made between world events and Nostradamus' quatrains are largely the result of misinterpretations or mistranslations (sometimes deliberate) or else are so tenuous as to render them useless as evidence of any genuine predictive power. In addition to the belief that some historical figures were endowed with a predisposition to psychic experiences, some psychic abilities were thought to be available to everyone on occasion. For example, the belief in prophetic dreams was common and persistent in many ancient cultures. 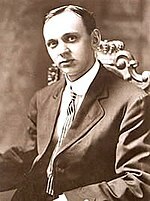 Edgar Cayce (1877–1945) was a psychic of the 20th century and made many highly publicized predictions. In the mid-nineteenth century, Modern Spiritualism became prominent in the United States and the United Kingdom. The movement's distinguishing feature was the belief that the spirits of the dead could be contacted by mediums to lend insight to the living. [page needed] The movement was fueled in part by anecdotes of psychic powers. One such person believed to have extraordinary abilities was Daniel Dunglas Home, who gained fame during the Victorian period for his reported ability to levitate to various heights and speak to the dead. As the Spiritualist movement grew other comparable groups arose, including the Theosophical Society, which was co-founded in 1875 by Helena Blavatsky (1831–1891). Theosophy coupled spiritualist elements with Eastern mysticism and was influential in the early 20th century, later influencing the New Age movement during the 1970s. Blavatsky herself claimed numerous psychic powers. By the late twentieth century psychics were commonly associated with New Age culture. Psychic readings and advertising for psychics was very common from the 1960s on, and readings were offered for a fee and given in settings such as over the phones, in a home, or at psychic fairs. In a survey, reported in 1990, of members of the National Academy of Sciences, only 2% of respondents thought that extrasensory perception had been scientifically demonstrated, with another 2% thinking that the phenomena happened sometimes. Asked about research in the field, 22% thought that it should be discouraged, 63% that it should be allowed but not encouraged, and 10% that it should be encouraged; neuroscientists were the most hostile to parapsychology of all the specialties. A survey of the beliefs of the general United States population about paranormal topics was conducted by The Gallup Organization in 2005. The survey found that 41 percent of those polled believed in extrasensory perception and 26 percent believed in clairvoyance. 31 percent of those surveyed indicated that they believe in telepathy or psychic communication. A poll of 439 college students conducted in 2006 by researchers Bryan Farha of Oklahoma City University and Gary Steward of University of Central Oklahoma, suggested that college seniors and graduate students were more likely to believe in psychic phenomena than college freshmen. 23 percent of college freshmen expressed a belief in paranormal ideas. The percentage was greater among college seniors (31%) and graduate students (34%). The poll showed lower belief in psychic phenomena among science students than social science and education students. Some people also believe that anyone can have psychic abilities which can be activated or enhanced through the study and practice of various disciplines and techniques such as meditation and divination, with a number of books and websites being dedicated to instruction in these methods. Another popular belief is that psychic ability is hereditary, with a psychic parent passing their abilities on to their children. Psychic abilities are common in science fiction, often under the term "psionic". They may be depicted as innate and heritable, as in Alfred Bester's The Demolished Man, A. E. van Vogt's Slan, Anne McCaffrey's Talents universe series or setting, and the television series Babylon 5. Another recurring trope is the conveyance of psychic power through psychoactive drugs, as in the Dune novels and indirectly in the Scanners films, as well as the ghosts in the Starcraft franchise. Somewhat differently, in Madeleine L'Engle's A Wind in the Door and Robert A. Heinlein's Stranger in a Strange Land, psychic abilities may be achieved by any human who learns the proper mental discipline, known as kything in the former work. Popular movies include The initiation of Sarah. Psychic characters are also common in superhero comic books, for instance Jean Grey, Professor X and Emma Frost as well as many others from the Marvel comics' "X-Men". Participant of a Ganzfeld Experiment whose results have been criticized as being misinterpreted as evidence for telepathy. Parapsychological research has attempted to use random number generators to test for psychokinesis, mild sensory deprivation in the Ganzfeld experiment to test for extrasensory perception, and research trials conducted under contract by the U.S. government to investigate remote viewing. Critics such as Ed J. Gracely say that this evidence is not sufficient for acceptance, partly because the intrinsic probability of psychic phenomena is very small. Critics such as Ray Hyman and the National Science Foundation suggest that parapsychology has methodological flaws that can explain the experimental results that parapsychologists attribute to paranormal explanations, and various critics have classed the field as pseudoscience. This has largely been due to lack of replication of results by independent experimenters. The evidence presented for psychic phenomena is not sufficiently verified for scientific acceptance, and there exist many non-paranormal alternative explanations for claimed instances of psychic events. Parapsychologists, who generally believe that there is some evidence for psychic ability, disagree with critics who believe that no psychic ability exists and that many of the instances of more popular psychic phenomena such as mediumism, can be attributed to non-paranormal techniques such as cold reading, hot reading, or even self-delusion. Cold reading techniques would include psychics using flattery, intentionally making descriptions, statements or predictions about a person vague and ambiguous, and surreptitiously moving on to another prediction when the psychic deems the audience to be non-responsive. Magicians such as James Randi, Ian Rowland and Derren Brown have demonstrated techniques and results similar to those of popular psychics, but they present physical and psychological explanations as opposed to paranormal ones. In January 2008 the results of a study using neuroimaging were published. To provide what are purported to be the most favorable experimental conditions, the study included appropriate emotional stimuli and had participants who are biologically or emotionally related, such as twins. The experiment was designed to produce positive results if telepathy, clairvoyance or precognition occurred, but despite this no distinguishable neuronal responses were found between psychic stimuli and non-psychic stimuli, while variations in the same stimuli showed anticipated effects on patterns of brain activation. The researchers concluded that "These findings are the strongest evidence yet obtained against the existence of paranormal mental phenomena." James Alcock had cautioned the researchers against the wording of said statement. A detailed study of Sylvia Browne predictions about missing persons and murder cases has found that despite her repeated claims to be more than 85% correct, "Browne has not even been mostly correct in a single case." Concerning the television psychics, James Underdown states that testing psychics in a studio setting is difficult as there are too many areas to control: the psychic could be getting help from anyone on the set. The editor controls everything; they can make a psychic look superior or ridiculous depending on direction from the producer. In an Independent Investigation Group IIG expose of John Edward and James Van Praagh they discovered that what was actually said on the tape day, and what was broadcast to the public were "substantially different in the accuracy. They're getting rid of the wrong guesses... Once you pull back the curtain and see how it's done, it's not impressive at all." Look up psychic in Wiktionary, the free dictionary. Matthew Nisbet (May–June 1998). "Psychic telephone networks profit on yearning, gullibility". Skeptical Inquirer. "FTC Charges "Miss Cleo" with Deceptive Advertising, Billing and Collection Practices". FTC. February 14, 2002. James Randi (1982). Flim-Flam! Psychics, ESP, Unicorns, and Other Delusions. Prometheus Books. pp. 173–195. ISBN 0-87975-198-3. Gracely, Ph.D., Ed J. (1998). "Why Extraordinary Claims Demand Extraordinary Proof". PhACT. Retrieved 2007-07-31. "Psychic Debunking". NOVA. Season 19. Episode 3. April 15, 1993. PBS. "She Told Them Boy was Dead. Crystal Ball Fails Psychic in MO. Kidnap". NY Daily News (New York). January 18, 2007. Shari Waxman (June 13, 2002). "Shooting crap:Alleged psychic John Edward actually gambles on hope and basic laws of statistics.". Salon.com. Druckman, D. and Swets, J. A. eds. (1988). Enhancing Human Performance: Issues, Theories and Techniques. National Academy Press, Washington, D.C. p. 22. ISBN 0-309-07465-7. Ritchie SJ, Wiseman R, French CC (2012). "Failing the future: three unsuccessful attempts to replicate Bem's 'retroactive facilitation of recall' effect". PLoS ONE 7 (3): e33423. doi:10.1371/journal.pone.0033423. PMC 3303812. PMID 22432019. Melton, J.G. (1996). "Psychics". Encyclopedia of Occultism & Parapsychology. Thomson Gale. ISBN 978-0-8103-9487-2. Fontenrose, Joseph (1978). The Delphic Oracle: Its Responses and Operations. pp. 196–227. Spiller, Henry A.; Hale, John R.; de Boer, Jelle Z. (2000). "The Delphic Oracle: A Multidisciplinary Defense of the Gaseous Vent Theory". Clinical Toxicology 40 (2): 189–196. doi:10.1081/CLT-120004410. PMID 12126193.
de Boer, J.Z. ; Hale, J.R.; Chanton, J. (2001). "New Evidence for the Geological Origins of the Ancient Delphic Oracle". Geology 29 (8): 707–711. doi:10.1130/0091-7613(2001)029<0707:NEFTGO>2.0.CO;2. John R. Hale; Jelle Zeilinga de Boer; Jeffrey P. Chandon; Henry A. Spiller (August 2003). "Questioning The Delphic Oracle". Scientific American. Betsy Mason (October 2, 2006). "The Prophet Of Gases". Science Now. Chevignard, Bernard (1999). Présages de Nostradamus. Lemesurier, Peter (2003). The Unknown Nostradamus. Melton, J. G. (1996). Dreams. In Encyclopedia of Occultism & Parapsychology. Thomson Gale. ISBN 978-0-8103-9487-2. Carroll, Bret E. (1997). Spiritualism in Antebellum America. Indiana University Press. ISBN 0-253-33315-6. Podmore, Frank (1997). Mediums of the Nineteenth Century. University Books. ISBN 0-253-33315-6. McConnell, R.A., and Clark, T.K. (1991). "National Academy of Sciences' Opinion on Parapsychology" Journal of the American Society for Psychical Research, 85, 333-365. David W. Moore (June 16, 2005). "Three in Four Americans Believe in Paranormal". Gallup News Service. Retrieved 2008-10-08. "Paranormal Beliefs - An Analysis of College Students". Britt, R.: "Higher Education Fuels Stronger Belief in Ghosts" LiveScience, January 2006, Retrieved September 18, 2007. Chauran, Alexandra (2012). So You Want To Be a Psychic Intuitive. Llewellyn Worldwide. ISBN 0738730653. "Psychics – myths & misconceptions". Retrieved April 25, 2007. "Science and Engineering Indicators 2006". National Science Board. 2006. Hyman, Ray (1995). "Evaluation of the program on anomalous mental phenomena". The Journal of Parapsychology 59 (1). Retrieved 2007-07-30. Akers, C. (1986). "Methodological Criticisms of Parapsychology, Advances in Parapsychological Research 4". PesquisaPSI. Retrieved 2007-07-30. Child, I.L. (1987). "Criticism in Experimental Parapsychology, Advances in Parapsychological Research 5". PesquisaPSI. Retrieved 2007-07-30. Wiseman, Richard; Smith, Matthew, et al. (1996). "Exploring possible sender-to-experimenter acoustic leakage in the PRL autoganzfeld experiments - Psychophysical Research Laboratories". The Journal of Parapsychology. Retrieved 2007-07-30. Moulton ST, Kosslyn SM (January 2008). "Using neuroimaging to resolve the psi debate". Journal of Cognitive Neuroscience 20 (1): 182–92. doi:10.1162/jocn.2008.20.1.182. PMID 18095790. Shafer, R; Jadwiszczok, A. (2010). "Psychic defective: Sylvia Browne's history of failure". Skeptical Inquirer 34 (2): 38–42. "Putting Psychics to the Test". Chicago Tribune. 2011-09-21. Retrieved 2011-09-12.